National, 6th April 2019: It’s that time of the year where all fashionistas gear up to celebrate the biggest birthday bash of the most loved brand – Buffalo. Setting style goals since 1979, brand ‘Buffalo’ has, over the year’s mirrored fashion for the explorer within an individual, one that represents the spirit of setting oneself free. Brand Ambassador Varun Dhawan celebrated the 40th Birthday of the brand in his charming style and wit. 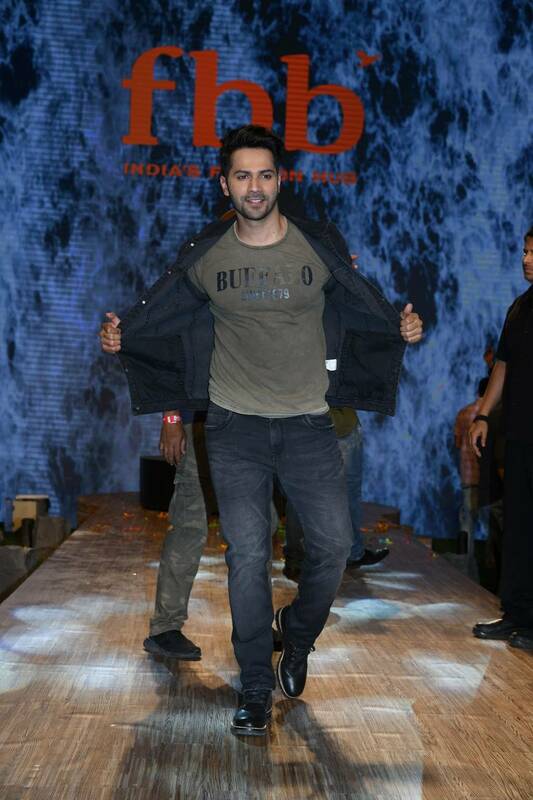 The super star walked the ramp in his favorite Buffalo collection unveiling the latest styles from the brand. The 40th Birthday bash was set at an adventure-soaked vibe in the city’s busiest malls, High Street Phoenix at Lower Parel, Mumbai. The day was packed with a series of stomping dance performances, games and ended with the highlight of the evening, the mega fashion show. The event saw fans thumping with joy as they got a chance to meet their favorite superstar Varun Dhawan in person. The show was hosted by Sachin Kumbhar. Born in 1979, Buffalo is inspired by the essence of classic work-wear and outdoor clothing, bringing out the adventure spirit. It offers a premium range of handcrafted jeans, trousers, shirts and tees with a tough, durable and rugged appeal. Made for the urban free-spirited, bold and confident man seeking experiences. Right from Jeans, Shirts, Cargoes, Shorts to T-shirts the brand has catered to all the fashion needs. Rush to the nearest fbb store to grab your favorite Buffalo style.